October | 2012 | Sonic Smash-Music! Washington state metal band Set4th has released their latest official video for their flagship single, “Screamin Demons,” to fan and critical acclaim. Set4th is a heavy metal band in the tradition of Pantera, Megadeth, Black Sabbath, and other mainstays of the metal genre. With an appropriate release date of October 31st (the American holiday of Halloween), “Screamin Demons” could not be more timely, nor Set4th’s sound more dark and foreboding. Set4th, the Frankensteinian monster-creation of Pike Auchtung, is a heavy metal band in the truest sense of the word. The guitar work is lightning-fast, though measured, like the mechanical guts of a machine gun. The percussion is a driving staccato of snares, toms, and crash symbols. The bass, in lieu of founding brother Sloppy Joe, maintains its Set4th nobility from the cover of shadows. In short, the looming, booming wall of sound that is Set4th stands giant and tall in this video release of “Screamin Demons,” and is evidence that in this latter year 2012, the spirit of metal remains untarnished by time, and alive – or, rather – very, very much undead. At the very least, fans of Set4th must allow that Auchtung himself is the furthest thing from afraid. He carries every artistic responsibility for the band, and does so to great effect. His obvious, resounding triumph may be heard in the electrical charge surging through each chord, in each smash of the drums, and certainly in the approbation of the metal scene. Pop-punk band Forever Air has released their first full-length record, “A Glass Canvas,” to critical and fan acclaim. Forever Air itself was first formed in the tradition of the new-school, California punk-rock style popularized by bands like Blink-182, Screeching Weasel, and Riverfenix in the mid- nineteen-nineties. Characterized by melodic songwriting, a one-two drumbeat, and a relatively small number of members, this increasingly rare sound lies somewhere between the doo-wop rock of the fifties and the outright aggression of punk from the early and mid-eighties. 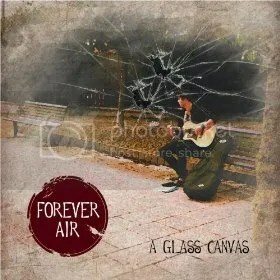 This flavor of punk rock is some of the most fun a music fan can have, and although Forever Air’s first long-playing album, “A Glass Canvas,” is a departure from the hard-fast-loud formula of yesteryear, it has the best qualities of the genre in spades. The first attribute of note regarding “A Glass Canvas” is the sheer length of the record, which, comprised of a modest twelve tracks, stops spinning at around an hour, thirty-percent more music for the listener’s money than a typical LP, which runs for approximately forty minutes. Besides this, the fan will notice a marked change in tone and mood from track one to track two, from two to three, and so on. Many songs have the appeal of great classic rock ballads. Some tracks feature classy, crystalline female vocals to contrast with the usual lead. Additionally, Forever Air’s lyrics are written to show the audience, rather than tell them outright, what the music intends to convey. According to singer/songwriter Allan Rookyard, this is entirely intentional. 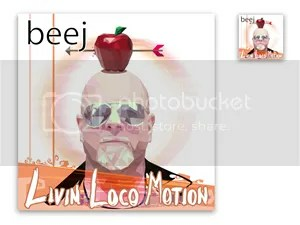 Rock musician Beej has released his first official single and video, “Livin Loco Motion.” The track is a Latin-flavored pop groove on the topic of living each moment to the fullest. It features Beej performing both lead vocals and guitar while backed by stylish organ chords, some sparingly played piano, and saxophones. Though Beej is a solo artist, the track is remarkably full-bodied without sounding overproduced in the slightest way, and is a legitimately fine example of the Spanish influence in modern pop and rock n’ roll. Surprisingly, Beej himself is originally from the paper-milling countryside of Wisconsin, but the exotic tone of his single is proof of his current worldliness, which experience includes the faraway coast of San Francisco, and the even further-away Swiss city of Geneva. Geneva is where Beej became acquainted with the legendary Universal music genius, Yorgos Benardos, whose talent as an engineer and producer absolutely sparkles on “Livin Loco Motion.” Geneva is also where Beej has been writing lyrics for Warner Bros.’s Dania Gio between writing music for himself. The accompanying video showcases this belief in detail by telling the comical story of a masquerade party, at which party revelers get into a fistfight over costumes. The fight escalates until these unlikely warriors use jetpacks to escape earth’s atmosphere and continue their duel of dukes until one of them is hurled to the ground, leaving the other to return victorious to the burning ruins that remain of the party. This carpe-diem attitude is not all Beej wants to talk about in “Livin Loco Motion,” though. Chances are, Beej will be rocking in the now for a long time. J. Truly started his love affair with music as a teenager, beginning with classical Spanish guitar. He soon found himself composing his own music, and added vocalist to his arsenal of talents. As a bi-cultural artist, J. Truly cites influences that span both cultures, including the Gypsy Kings, Estopa, Mana and Alejandro Sanz, Sting, U2, and Cat Stevens. That international flavor comes through clearly in “Rock Like This,” as the artist blends pop, rumba and Spanish ballads, a refreshing style that highlights J. Truly’s experiences in the U.S. and abroad. The music video for the title track, which was filmed in Granada and New York City, highlights the beauty and natural appeal in combining two distinct cultures and music genres. It blends Spain’s beauty and tradition – the architecture, flamenco, cuisine, and passion for soccer – and transposes them across that inimitable New York skyline, and the city’s diversity and hip hop culture. The title track’s Latin club-rhythm and pop melody are infinitely danceable, and infectiously catchy. The rest of the album is just as appealing. “Courageous Baby” is a ballad driven by J. Truly’s classical guitar and emotive vocals. “Musica” brings elements of Flamenco Rumba and high-energy that will force you out of your chair and onto the dance floor. “Canto” is a testament to J. Truly’s virtuoso guitar work, with a twisting and galloping melody that’s full of mercurial energy. The distance between Spain and America never felt so small. “Rock Like This” is a bridge between two cultures that makes the exotic feel enchantingly familiar. 27After says their musical influences are “The Foo Fighters, Johnny Cash, Pantera and our 8 billion brothers and sisters that we live with on the planet.” That global worldview explains the band’s broad-based appeal. All the way from Denver, CO., 27After are making music that speaks to anyone with a pulse. The Colorado-native trio produce melodic alt-rock with just a touch of hard-edged gravitas. Melodic and more than a little radio-friendly, no one will ever mistake 27After for just another bunch of vapid pop stars. 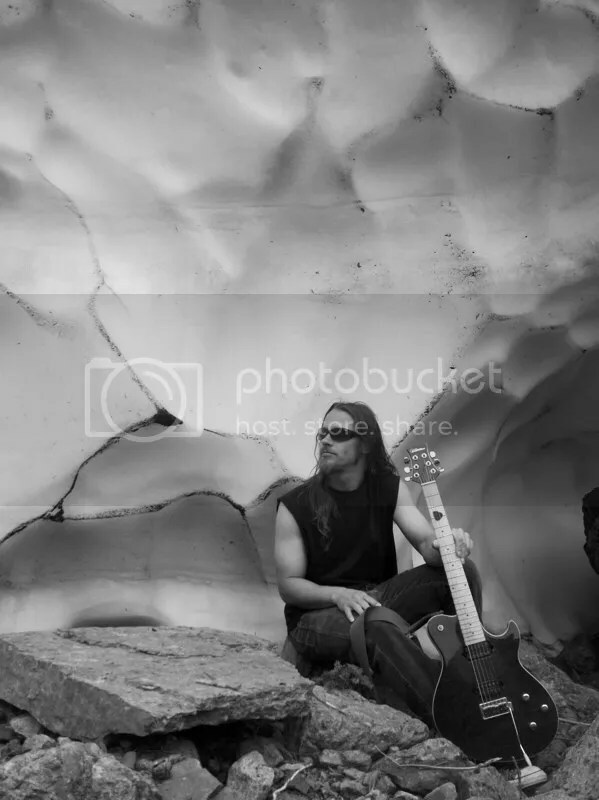 Guitarist and lead singer Cash Crandall’s songwriting reflects the band’s musical philosophy perfectly. Crandall calls it “the control of intellect with the freedom of letting it all go,” and that paradoxical sense of restrained abandon infuses every track on the album. Bass lines as dense as a tar pit churn and boil around the guitar and vocals, kept in perfect harmony by high-intensity drumming. The result is a frenetic rock album that’s as catchy as it is compelling. The October 27 release of 27After’s self-titled debut EP is the long awaited result of a year and a half spent in Colorado, where the trio have been hard at work writing and composing. But that’s not all. Those hours in the studio have also resulted in the band’s first full 12 song CD, scheduled for release in the summer of 2013. The first two releases, “Live” and “Monday” are already getting attention online. “Live” has a swirling, contemplative energy, punctuated with a message of positivity and love. “Monday” is a straightforward, rollicking, alt-pop masterpiece. Both are well-poised to establish the band on the national stage. Musically, the in-your-face, “let it all go” style that a 27After show delivers is refreshing. 27After is a believer that there aren’t many things better than discovering new music. Most people will agree after catching 27After’s debut album. South Australia singer/songwriter Alex Hosking has released her premier long-playing record, “Wish.” The album is partly pop and partly indie rock with a Sheryl Crow attitude and a Tori Amos heart. Hosking is gratuitous in her positivity and optimism, her songs almost universally light of spirit and entirely unfettered by melodrama of any kind. The album is humble, yet ambitious, fecund with ostentatious talent without seeming vain. Her tracks are original and wholly her own, taken from a repertoire which she began writing at the age of ten. Live performances commenced almost simultaneously. 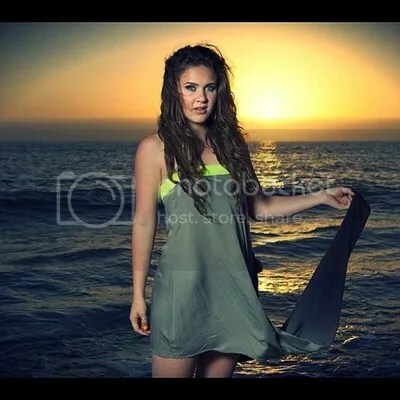 “I performed my first song at church on Christmas day as a young girl,” she says. Regarding her attitude toward songwriting she declares, “My mind is a circus and my heart is open.” Indeed, her lyrics seem drawn from a secret autobiography at times – not to say from a diary, which would be unfair to the maturity of her work, which also bears mention. “Why do we do it: talk?” she asks with the insouciance of a philospher in her song, “Bright Green.” She follows this query with a buoyant assertion belying her youth: “I don’t want to, I don’t have to.” Her effervence contains a dark spot of yang to balance the brightness of her yin, however, evident in precocious lines like, “I’m afraid of what I’ve become,” a spooky thing to hear sung with conviction from a woman just entering her twenties. The artist from Adelaide calls her flowering musical career a “wish come true,” from which it must be inferred the title of Hosking’s record comes, but wishing on stars cannot be the source of her popularity when the sheer talent of her performances is outstripped only by the genius of her writing. Among her influences she lists the Chili Peppers, Sia, Beyonce, the Kooks, and – most bogglingly – Biggie Smalls. Watch for said influence, though, during the bridge of “Uneven Hedges,” when she commences to pound out chords on her piano and rap like an unknown and unlikely member of NWA, saying, “We still got terrorists here, livin’ in the USA: the big CIA, Bloodz, Crips, the KKK.” The versatility of Alex Hosking is a thing to behold. Kiev-based hip-hop band from Nigeria, Young Paperboyz, have released their newest LP, “Naija Boss,” to critical acclaim. Young Paperboyz is made up of hip-hop performers Mayor Boss and Della Ratta, who began their careers together in 2008 with the hit single, “You Know.” This premier entrance into the hip-hop scene was quickly followed with another smashing success, the flagship full-length album, “Moving,” which they released in 2009. “We were em-cees at the club here in town,” write the Young Paperboyz. “We always had the passion for music, the desire to make our own mainstream music – not just act as MCs in a club – so we started performing.” And perform they have. “Naija Boss” is absolutely packed with original beats and rhymes – over 20 new tracks are included, and with 20 featured additional artists, as well. 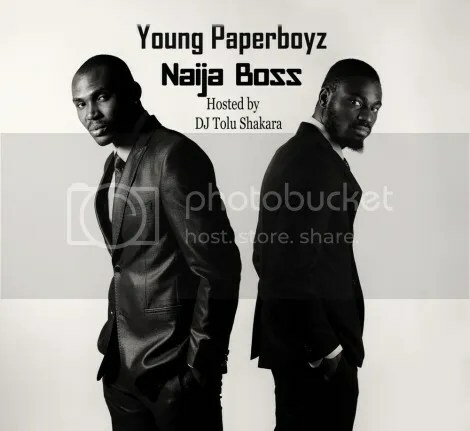 Supporting the Young Paperboyz on “Naija Boss” are (in order of appearance) DJ Tolu Shakara, Asuzu, Double Brothers, Sutflute, Lil’ Jojo, DJ Nikita Noskow, Hardx, Qslimz, Maxim Novitskiy, Jasi Caesar, RacenNext, Marianna Gordiy, Tustep, Mkurgaev, Alex Martin, E. Khmara, Mapro Makwa and NaNa, Mr. Raw (of Faraw), and T-Money (Jasi1Time). Music by the Young Paperboyz, both accompanied by video and not, is wallpapered across the Internet in a variety of various languages. Their remarkable sojourn from Nigeria on the west coast of Africa to Kiev, 6000 kilometers away in north-central Ukraine, lends much to their musical and cultural heritage. The Paperboyz have worked with studios such as Champion Studio Film (USA), Hardx Soul Suiter Entertainment (Nigeria), Sutbeat Studio (Germany), NDSL (Ukraine), IrenaHouse (Ukraine) and many more. They name as artistic influences such greats as Akon, Tpain, Piles, Rick Ross, Trick Daddy, 50-Cent, Black Eyed Peas, David Guetta, Snoop Dog, Kanye West, and Taio Cruz.